Technology continues to profoundly change our lives, how we make products, provide services, communicate, share information, and treat illnesses. Relied on by nations and businesses to increase their competitiveness, efforts across the globe are focused on accelerating technological advances to the market place, bringing innovation and improvements to quality of life, and thus fueling economic growth. All of these efforts are accompanied by a proliferation of quantity and availability of technical information challenging the boundaries of technology management. In particular, development and acquisition of technologies are facing intense challenges to demonstrate strategic use. The demarcation between scientist and engineer is blurring as the innovation cycle starts from the laboratory and ends in the market place. The recent attention drawn to the importance of transdisciplinary research brings with it new challenges to its management. This presentation will explore ideas from different organizational viewpoints of technology management as transdisciplinary research and technologies gain traction. Dr. Adnan Akay joined Bilkent University in 2009 as Vice President and Professor to found the Mechanical Engineering Department, on a leave of absence from Carnegie Mellon University. He moved to Bilkent from the National Science Foundation where he was the Director for the Civil, Mechanical and Manufacturing Innovation Division. Dr. Akay started his tenure at Carnegie Mellon in 1992 as a professor and head of the Mechanical Engineering Department and was awarded the Lord Chair in Engineering in 1997. Earlier he was on the faculty at Wayne State University where he last held the DeVlieg Chair in Engineering. He has held visiting appointments at MIT, the University of Rome "La Sapienza," and INSA de Lyon in France. Professor Akay’s interest and activities in engineering education focus on broadening the basis of engineering and build on the concept of “multiple intelligences” to allow students become the renaissance engineers of tomorrow. His active research areas are on vibrations, acoustics, and tribology. He is the recipient of the Per Brüel Gold Medal in Acoustics and Noise Control (2005) and the Alexander von Humboldt Research Award (2011). He is a fellow of the American Society of Mechanical Engineers and the Acoustical Society of America. Customer integration into development processes is frequently recommended to align development outcomes with customer wants and expectations. Reports on success of this involvement are mixed. Most empirical results supporting the recommendations relate to customer-supplier relations that are either characterized by large numbers of customers or by a 1:1-relationship. It is less well understood what happens in those relationships which have a small number of customers. This is typical of highly complex development projects. In this situation particular conflicts might arise between customers and suppliers and among customers. The types of conflicts are explained. As uncertainty makes it impossible to regulate all conflicts by contractual relations, it is even more important to understand the reasons for conflicts and to invest in building trust. To achieve success, conflicts need to be foreseen by the supplier. Dr. Klaus Brockhoff, in a teaching career spanning more than 40 years, has held business faculty positions at six universities, including the University of Bonn (Germany), University of Kiel (Germany), University of Lund (Sweden), New Jersey Institute of Technology (United States), and currently, since 1999, WHU—Otto Beisheim School of Management (Germany). A graduate of the University of Bonn and the University of Munster, and a former research fellow at the University of California, Berkeley, Dr. Brockhoff has documented his research in the areas of technology management, innovation management, business strategy, and business policy in 21 books and more than 280 articles, many of which were published in leading international research journals, such as Management Science, Journal of Product Innovation Management, IEEE Transactions on Engineering Management and Research Policy. He has consulted for numerous government and business organizations and has received two noteworthy awards, the Max Planck Research Award and Karl Heinz Beckurts Award. Dr. Brockhoff is also an elected member of the Berlin-Brandenburg Academy of Sciences (Berlin) and the Academy of Technology (Berlin); he sat on the board of six journals (including Research Policy, R&D Management and Technology Analysis & Strategic Management), two corporations (Steuler Industriewerke, Metro Group), and three foundations (VolkswagenStiftung, Pro Futura Stiftungen, and WHU Foundation). He holds an honorary doctorate from the University of Berne (Switzerland). Analytics provides managers with tools to analyze massive data in today’s organizations. However, there are theoretical and empirical gaps between the analysis of such data and the useful knowledge derived from it for managers to make decisions. This is the crux of the concept of “Beyond Analytics.” The framework presented here links analytics with cognition and classifies managers by the mode in which they apply data analyses to their representations of organizational phenomena so that relevant decisions can be made. This allows us to establish a link which tailors data analyses to the manager’s “preference platform,” similar to targeting pharmaceuticals to patients by the analysis of their DNA. The framework is then constructed as a special case focused on technology managers. How do these managers construct the phenomenon of managing technology within their organizations by the use of the analysis of “big data” to which they are exposed? How do these managers process and translate such data to formulate adequate decisions in the conduct of their operational responsibilities? What makes these managers and their technology organizations different from other sectors and industries? The framework presented here was tested empirically in a sample of 231 R&D and technology managers in five large organizations. The results provide a promising step in our ability to close the gap between analytics and actual decisions made by technology managers. 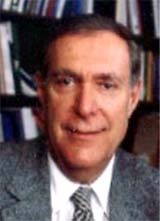 Dr. Eliezer (Elie) Geisler is a distinguished professor in the Stuart School of Business at the Illinois Institute of Technology. He holds a doctorate in organizational behavior from the Kellogg School at Northwestern University (1979). Dr. Geisler is the author and co-author of over 100 papers in the areas of the management, evaluation and metrics of R&D, innovation, science & technology, knowledge management and the management of medical technology. He is the author and co-author of 14 books, including: Managing the Aftermath of Radical Corporate Change (1997); The Metrics of Science and Technology (2000), also translated into Chinese; Creating Value with Science and Technology (2001); Installing and Managing Workable Knowledge Management Systems (2003, with Albert Rubenstein), Knowledge and Knowledge Systems: Learning from the Marvels of the Mind (2007), and Change in Organizations (2013). He was the founder and editor of the Department Of Information Technology for the IEEE Transactions on Engineering Management and is the co-founder and associate editor of the International Journal of Healthcare Technology and Management. He co-founded the international Health Care Technology Management Association and the series of conferences on the Hospital of the Future. Since 2001 these conferences were held in the Netherlands, U.S.A., United Kingdom, Denmark, Austria, and Italy. At the Illinois Institute of Technology, in 2003-2012, he founded and directed the IIT research Center for the Management of Medical Technology. Dr. Geisler consulted for major corporations and for many government departments and agencies. He served on over a dozen editorial boards for major journals in the fields of technology management and organizational behavior. He was chair of the College of Innovation Management and Entrepreneurship (COLIME) of the Institute of Management Sciences (INFORMS). Dr. Geisler has served on the board of directors of Mount Sinai Medical Center in Chicago, Illinois. His research was funded by, among many others, NASA, NSF, and IBM. His current research, teaching, and consulting activities focus on the organization and commercialization of technology, and on the nature, progress and diffusion of human and organizational knowledge, and the management of knowledge systems. Companies perform a growing number of innovation projects simultaneously, contributing to a growing share of future value, thus increasing the relevance of their innovation project portfolio. However, increasing requirements from customers, suppliers, and regulatory institutions, and increasing interdependencies between projects regarding financial and human resources and knowledge, create difficulties to coordinate between projects and to align them to the business strategy. Many firms perform too many projects, do not spend their resources according to their business strategy, and they do not terminate projects consequently which have lost their justification. In the last 10 years we have performed several studies analyzing how firms in German-speaking countries manage their innovative project portfolios, covering more than 1,000 portfolios with a combined budget of more than 100 billion Euros. We have looked at their multi-project management systems comprising an aligned set of organizational actors, strategies, structures, processes, methods (including IT), and cultures (including incentives) to reach defined performance criteria of relevant stakeholders. Our findings show that the set of relevant success factors comprises three dimensions: (1) strategic clarity, (2) operational transparency, and (3) responsiveness and pro-activeness. Prof. Dr. rer. oec. habil. Hans Georg Gemuenden is a full tenured Professor at the Berlin University of Technology (TU Berlin). He has the Chair for Technology and Innovation Management. He received his "Diplomkaufmann" (equivalent to an MBA) and his Dr. rer. oec. at the University of Saarbrucken, and his habilitation degree at the Univer¬sity of Kiel. He was chairman of the TIM Division of the Association of University Professors of Management from 2000-2002. He was representative-at-large of the TIM Division of the Academy of Management from 2009 until 2011 and responsible for the best-dissertation award in 2011. In January 2013 he became the editor of the Project Management Journal. He was a member of several supervisory boards (ThyssenKrupp Technologies AG, Hauck & Aufhauser, InnoZ). He hosted several international conferences: the IMP conference in Karlsruhe (1996), the G-Forum in Berlin (2006), and the IRNOP (2009) in Berlin. He has published in Organization Science, Research Policy, Journal of Product Innovation Management, Creativity and Innovation Management, International Journal of Research in Marketing, Journal of Busi¬ness Research, Management International Review, IEEE Transactions on Engineering Manage¬ment, R&D Management, International Journal of Project Management, and Project Management Journal. The services sector is the largest segment of advanced economies and is growing as a portion of the world economy. We will discuss why this is happening, not just in IT but also in many other industries. However, many services industries have struggled with problems of productivity and quality. We believe that the recipe for increasing the heath of services industries is by increasing the innovation in services, including through the broad application of science and technology. This belief led to the founding of services science as a discipline. We will discuss where progress has been made and where some stubborn problems remain, illustrating with examples from IT, financial services, health, education and government. Examples will be given of how innovation is evolving in growth markets, especially China and Africa. Finally, we will describe an emerging model called cognitive computing and show how it is contributing to the improvement of services industries. Dr. Robert JT Morris is Vice President, Global Labs, IBM Research, where he is responsible for IBM Research Laboratories in China, India, Japan, Brazil, Australia and Africa. He leads these labs from the IBM Growth Market headquarters in Shanghai. From 2006-2011 he led Services Research across IBM from the TJ Watson Research Center in New York, and from 2004-2006 he led the transformation of IBM’s services business to become technology-asset or IP-based. 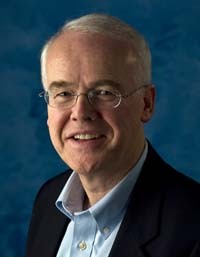 From 1999-2004, he was the director of the IBM Almaden Research Center, a hub of applied research in computer, physical and behavioral sciences. Dr. Morris was also concurrently vice president for Personal Systems and Storage Research at IBM. During this period the field of “services science” was initiated by IBM Research and developed working closely with university, industry and government partners. Earlier, he was a director at the IBM TJ Watson Research lab in New York, where he led teams in systems research. Originally from Australia, he began his career at Bell Laboratories where he was involved in developing a number of networking and computing technologies. Dr. Morris was chairman of the Bay Area Science and Innovation Consortium (BASIC) from 2002-2005, an organization consisting of the heads of major research institutions in Silicon Valley and the San Francisco Bay Area. He has been a member of the National Academies’ Government University Industry Research Roundtable, an Editor of IEEE Transactions on Computers, he has published more than 50 articles on computer science, electrical engineering, and mathematics, and he has received 11 patents. He is a member of the IBM Academy of Technology, a Fellow of the IEEE, and is on a number of advisory boards for leading universities and governments labs. Immersive Technology (Im-Tech) may be defined as a set of technologies and systems creating a persistent, individual and shared, 4D perception of reality in cyberspace, whose main added-value is to produce radical, potentially unlimited innovation. Im-Tech gives access to powerful tools for design with applications along the value chains from the conception to the end of the product life cycle. Already used in the car and aircraft industries as well as in the energy sector, Im-Tech also paves the way for “safer by design” products and systems, with the possibility to include, at a very early stage, the societal issues brought in by consumers and citizens. This powerful tool may also be subject to misuse and create actual societal concerns. Societal engineering enhanced by immersive technology may deliver low hanging fruits like shaping the energy demand in areas where smart grids are implemented; but misuses of Im-Tech, by error or by will, must be avoided to ensure their ability to keep aligned with stakeholders’ trust. This is where the shared responsibility appears. The presentation will provide options for managing immersive technology and its induced innovations in a shared, responsible way. Dr. Francoise D. Roure is an economist specialized in emerging technologies. She is currently the chair of the committee “Technology and Society” of the French High Council for Economy, Industry, Energy and Technologies, a national advisory body chaired by the minister in charge of economy. She was elected in 2011 Chair of the OECD Working Party of Nanotechnology. Dr. Roure has two Ph.D.s in international and industrial economics. As a civil servant, she has contributed since 1992 to international and European regulations. She also advises the European Commission on International Dialogues related to the Responsible Research and Innovation required by Emerging and Converging Technologies (in particular nanotechnologies, synthetic biology). She is also an associated researcher at University of Paris-1 Pantheon-Sorbonne. 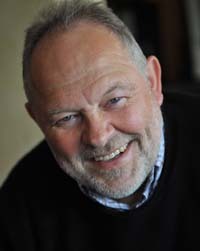 Dr. Roure’s most recent contribution to the European Union in the field of responsible research and innovation is a report published in 2013 by the European Commission: “Options for Strengthening Responsible Research and Innovation” (http://ec.europa.eu/research/science-society/document_library/pdf_06/options-for-strengthening_en.pdf). A world-class science and technology (S&T) research university is a complex system that produces educated people, knowledge, and technological innovations, and provides services for public good. Creation and development of such a university system requires vision, long-term goals, strategic plans, organizations, effective management, and financial resources, in addition to outstanding faculty and students, competent professional staff, and functional physical facilities. The process of designing and developing an S&T research university is similar to the development of other innovative and complex systems. The more challenging aspect of the process for a research university is the creation of a culture that enables outstanding faculty and students to flourish in pursuit of knowledge and innovation, while garnering buy-in and enabling the concerted involvement of a majority of productive faculty and staff in the development and implementation of ambitious plans. This presentation will describe how a strategic plan, created using axiomatic design, was implemented at KAIST in order to make it a world-class S&T research university. It changed the governance and academic policies to make it more productive and competitive in solving the most important problems humanity is facing today through research. Under the plan, KAIST has also initiated a new educational program that replaced traditional lectures with a new format of learning. Also, a new organizational and physical structure was created to promote research at the traditional disciplinary boundaries. Thanks to these efforts, the overall world ranking of KAIST was elevated from 196th in 2006 to 63rd in 2012, and in engineering to 24th. During this period, KAIST has appointed more than 350 new professors, increasing the number of faculty from about 400 to about 620. KAIST has also built 14 new buildings, including a modern medical center and a well-equipped modern sports complex. This was done to accommodate the increased faculty size, to improve the overall quality of campus life, and to have modern research infrastructure. Its research budget and the total annual budget increased by more than 2.5, while the basic government support for KAIST had decreased to 22% from over 40% of the overall budget during the same period. Also, the activities for basic research and technological innovation have increased significantly, which resulted in increases in major publications and technology innovations, e.g., On-Line Electric Vehicle (OLEV) and Mobile Harbor (MH). Many generous donors, who had no prior relationship with KAIST, gave significant gifts to KAIST to support its ambitious goals. Dr. Nam Pyo Suh was the 13th and 14th President of the Korea Advanced Institute of Science and Technology (KAIST). He is also the Ralph E. & Eloise F. Cross Professor, Emeritus, M.I.T. During his tenure at KAIST (from July 2006 to March 2013), its worldwide reputation has increased from 198th to 63rd overall and to 24th in engineering and IT. He was the presidential appointee in charge of engineering at NSF. He received nine honorary doctoral degrees. He is the recipient of the 2009 ASME Medal, the 2006 General Pierre Nicolau Award, the National Science Foundation’s Distinguished Service Award, and many other distinguished awards. He is the author of over 300 papers and seven books, and holds more than 70 patents, including those related to the on-line electric vehicle (OLEV) and the Mobile Harbor (MH). He is a member of the Board of Trustees of King Abdullah University of Science and Technology (KAUST) and a member of the International Advisory Board of the King Fahd University of Petroleum and Minerals (KFUPM), and the Khalifa University of Science, Technology and Research (KUSTAR). He is a member of the Board of Directors of Axiomatic Design Software, Inc., OLEV Technology, Inc., and Parker Vision, Inc.
Over the past 50 years, hundreds of scholars have contributed important ideas, research, articles, and books that address innovation and technology management. Contributors have been diverse coming from fields such as economics, history, management, sociology, political science, science and engineering, geography, population ecology, and law. Despite the variety of perspectives of the contributors to this body of work, their results show emergent and resonant themes. These include exploration of the sources of and stimuli for successful innovations; the importance of connections between actors in the innovation process; resources and actions related to success and value of innovations; the diffusion of innovations; consequences for firms, the economy, and society; the co-evolution of technology, markets, and institutions; and changes in many of these factors over time and across cultures. Explorations in Technology, Innovation and Entrepreneurship will organize and highlight the work of some of the seminal authors in these streams of research. The work of one early contributor, William J. Abernathy, will be highlighted. 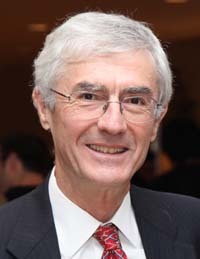 Dr. James M. Utterback is David J. McGrath jr (1959) Professor of Management and Innovation at the MIT Sloan School of Management and Professor of Engineering Systems in the School of Engineering at the Massachusetts Institute of Technology. Since receiving the Ph.D. in 1968 from the MIT Sloan School of Management, Prof. Utterback has held faculty positions at Indiana University, the Harvard Business School, and Chalmers Technical University as well as MIT. From 1983 through 1989, he served as Director of Industrial Liaison at MIT. He is author of Mastering the Dynamics of Innovation, published by Harvard Business School Press in 1994 and of Design-Inspired Innovation, published by World Scientific Press in 2006. His current research examines the sustained growth of newly formed technology-based firms worldwide at the confluence of bio and nanotechnology. The best way to predict the future is to inspire the next generation of students to build it better. The management of engineering and technology (MET) is a field that helps prepare student to build a smarter planet. Closely related to MET, IBM is encouraging the development of new tightly interconnected fields such as service science, data science, and urban science. The common characteristic of all these emerging fields is their boundary spanning nature. This talk will review the IBM Smarter Planet strategy, the rise of these new boundary spanning fields, and the transformation of education towards a challenge-based curriculum in which student teams guided by faculty from multiple disciplines, working with industry and government, are re-defining professional development in the 21st Century, and giving rise to more T-shaped service innovation professionals who understand the benefits of complex service system platforms for scaling the benefits of new knowledge globally and rapidly. In addition, this talk will describe 11 innovation trends that will transform all major industries and the planet over the next two decades. Dr. James C. Spohrer is IBM Innovation Champion and Director of IBM University Programs (IBM UP). Jim works to align IBM and universities globally for innovation amplification. Previously, Jim helped to found IBM’s first Service Research group, the global Service Science community, and was founding CTO of IBM’s Venture Capital Relations Group in Silicon Valley. During the 1990’s while at Apple Computer, he was awarded Apple’s Distinguished Engineer Scientist and Technology title for his work on next generation learning platforms. Dr. Spohrer has a Ph.D. in Computer Science/Artificial Intelligence from Yale and a BS in Physics from MIT. His current research priorities include applying service science to study nested, networked holistic service systems, such as cities and universities. He has more than 90 publications and been awarded nine patents.